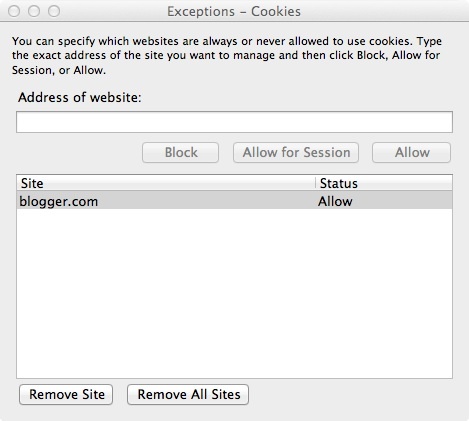 The problem lies around allowing 3rd party cookies, if you don’t allow 3rd party cookies to be downloaded to your machine then blogger (blogspot.com) will not let you add a comment to a blog because it doesn’t let you log in to your Google (or other) accounts. I found that allowing 3rd party cookies cured the problem. In Firefox I was able to still disallow 3rd party cookies but I then added an exception to allow the cookie from blogger.com this then allowed me to post comments ok.
Next I tried Google Chrome, again allowing 3rd party cookies and it allowed me to comment, but for some reason I’ve not discovered yet even allowing the cookie from blogger.com still wouldn’t let me comment, so some more work is required on Chrome to fully understand why the fix doesn’t work.It appears that I’m being logged out each time which I think is the symptom of the problem, allowing 3rd party cookies though and the problem disappears! On Safari, you can’t add exceptions, but under certain circumstances that setting didn’t seem to make any difference as long as I allowed popups on websites. How bizarre is that! 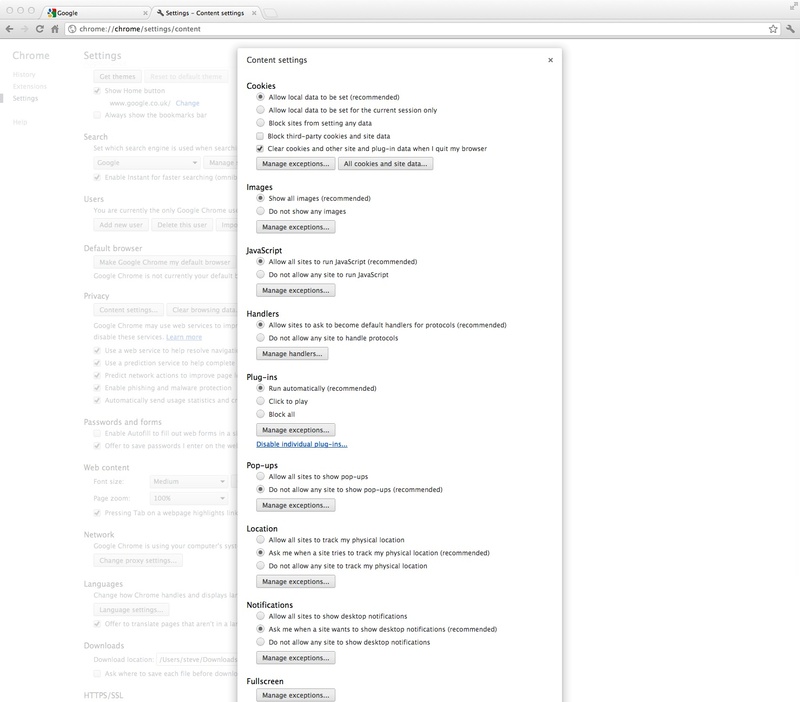 So again more work on Safari to fully understand how it works. All tests carried out on a Mac, although I believe the results will be the same on all Operating Systems.